Sometime a week ago a painting was stolen from a Belgian Church. The pastor believed that the painting might have been an unidentified Old Master’s work, specifically by Michaelangelo, the Italian genius who lived during the Renaissance and has produced masterpieces like the Pieta or the painting of the Sistine Chapel ceiling. The thieves stole the painting The Holy Family on January 11 and it was suspected that the reason that the painting was stolen was that it really might be a genuine lost Michaelangelo work. The pastor of Sint-Ludgerus Church, Jan Van Raemdonck, said that the women who were laying flowers have discovered that the painting was missing and that “the external door was open.” It was the pastor who first suspected that the painting was a lost Michelangelo and has only told 20 people about his suspicion, marking those 20 as primary suspects. He said that he also got into contact with various museums for help to appraise the work. He admitted that he wanted the work appraised first, before deciding to increase the security inside the church. 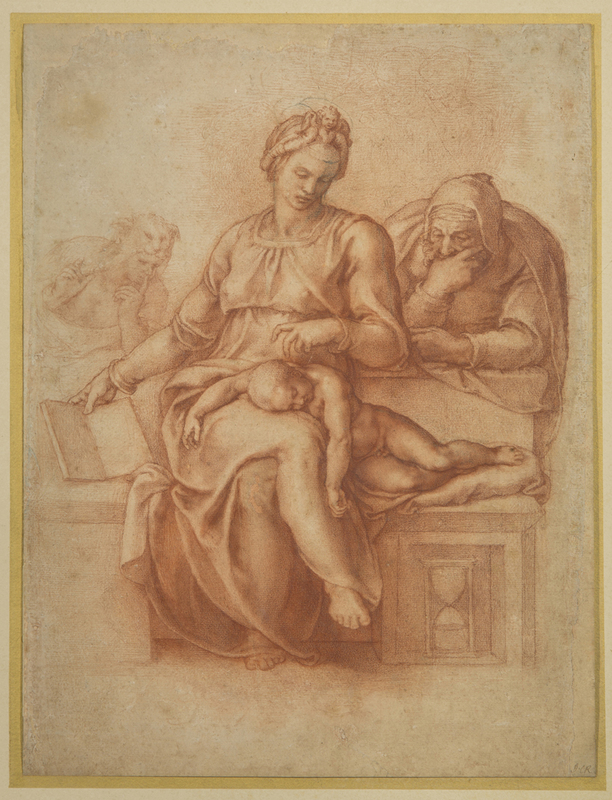 The painting was to be appraised by a Maria Forcellino, a Michelangelo expert. Van Raemdonck said that the parish received the painting as a donation by one of their parishioners, the former Belgian senator Etienne Cooreman, some 16 years ago. It was then that Raemdonck noticed that the painting’s composition was similar to those of Michaelangelo’s sketches of the Holy Family. Drawn in 1538, the painting has a remarkable similarity with the painting and displays the same layout of the characters, with the child Jesus sleeping on Mother Mary’s lap, while St. Joseph watches over him in deep thought. 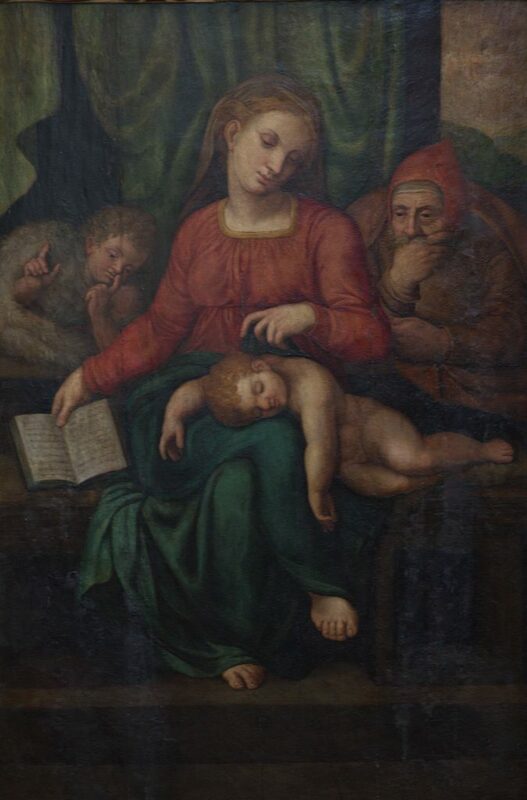 This is the Madonna del Silenzio that’s currently on display in a public gallery by the Cavendish-Bentinck family and part of that family’s Portland Collection. If this is indeed a lost Michaelangelo, the painting’s cost would have shot up to as much as $144.8 million. A witness claimed that there was a young man lurking in front of the church that morning before the painting was discovered to have been stolen. He was wearing dark clothes and had a hoodie. The painting weighted at around 220 lbs. and it was noted that no other artefact of the church was stolen, giving rise to the suspicion that the crime was planned and that it was a targeted burglary. This is the first major art theft of the year. It seems that the mistake of the pastor was the root cause of the matter. If he didn’t blab about the worth of the painting, and just had silently had the painting appraised it would have reduced the risk of the painting being stolen. The common people are ignorant about paintings and only those who have studied art, like pastor Raemdonck, would have realized the possible worth of the painting. But now that he blabbed about the possibility of it being a lost Michaelangelo, and the possible worth of the painting, without increasing the security around the church, there are more than 20 suspects to the crime, not to mention the possibility of someone listening to him talking about it. As for the possibility of the painting being a Michaelangelo, no one will know until the painting is found again. There’s a possibility that the painting is being appraised by the criminals right now, to find out if it is a genuine Old Master. If it is, it could sell in the black market. Stolen paintings are usually tracked down by cops and the art community. But there is no sure way to recover said paintings, even ones that have already been attributed to great artists.